Whoever said three-wheelers can't look good? We know that the car of the future will be eco-friendly, but will it have three wheels instead of four? You&apos;ve got to wonder about the future of the automotive tricycle after the recent sighting of the Vanderhall Motor Works Porsche lookalike. This concept may be an eyesore, but it reportedly puts up some decent numbers (0 to 60 in 4.5 seconds) and includes creature comforts like air conditioning and power locks. I&apos;ve no doubt that the tricycle will one day carve its own niche on the road after seeing all of these futuristic tricycle concepts. The Strike Trike from Design+Industry features a 1340cc from a Suzuki Hyabusa that is able to propel it from 0 to 60 in 3.5 seconds. The Strike&apos;s combination of a real-world engine and a simple design make this concept one that could easily go from the screen to the road in no time. Amadou Ba Ndiaye&apos;s i1 is a futuristic tricycle with a carbon fiber frame and three electric motors mounted in each wheel. 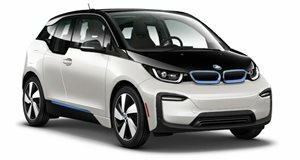 The technology to develop something like this is probably within reach, but I don&apos;t see BMW getting behind a project like this. 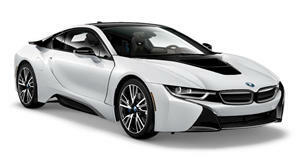 Maybe if the i3 and i8 are runaway successes. Maybe. Honda is attempting to show Smart who really runs the small car scene with the 3R-C concept. This concept debuted at the 2010 Geneva Motor Show and immediately failed to take the world by storm. Still, this lithium battery-powered concept is a sight to see with its compact design and jet cockpit cabin. Why the Peugeot 20Cup hasn&apos;t been put into production is beyond me. This tricycle bears a striking resemblance to the MX-5 in the front, but all similarities end their when you work your way around to the back and discover its lone wheel. The 20Cup pushes 170hp, weighs only 1100lbs and will probably never see a showroom floor unfortunately.